This is a multidisciplinary ‘advanced’ hands-on pediatric airway management course intended for practitioners from Anesthesia, Critical Care Medicine, Emergency Medicine and Otolaryngology. The two day course will combine didactic lectures, hands-on workshops, interactive real-life case discussions and high fidelity simulated multidisciplinary code scenarios. Didactic Lectures will be given by experts in the field and cover topics such as airway maldevelopment and anatomy, assessment of the pediatric airway, pharmacology to facilitate critical airway access, and management of airways with difficult physiology (e.g. cardiac, trauma, sepsis). 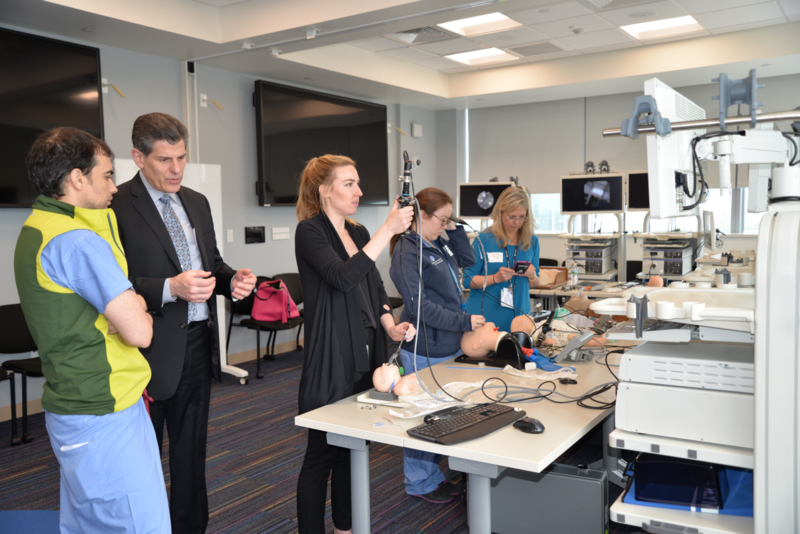 Workshops will be facilitated each day by experts and will include hands on sessions using BCH SimPeds mannequins and equipment such as direct laryngoscopy, videolaryngoscopy, glidescopes, intubating LMAs, flexible fiberoptic bronchoscopy, and rigid bronchoscopies. Supraglottic airways and surgical airway access are examples of the skills that will be included in the daily workshop sessions. Following the workshops on each day, participants will participate in high fidelity scenarios followed by group debriefings. These sessions will use state-of-the-art simulations designed by the Boston Children’s Hospital Simulator Program (SIMPeds) using real hospital settings and cutting edge airway devices, facilitated by leaders in the field of pediatric airway management. The scenarios will emphasize the stepwise approach to an evolving airway emergency, team work and crisis resource management. Case Discussions included in this course will give participants the opportunity to discuss and work through real-life scenarios contributed by experts and participants. The content of this course is intended for practitioners of critical care medicine, emergency medicine, otolaryngology, and anesthesia. Advanced practitioners in other areas who manage pediatric airways will also find this course useful. Registration by credit card can be made by clicking the register button above. Registration by check (draft on a United States bank): please make payable to Boston Children’s Hospital and contact the CME Department at cmedepartment@childrens.harvard.edu to discuss payment. Telephone, fax, or cash payments for registration are not accepted. Boston Children’s Hospital designates this live activity for a maximum of 13.25 AMA PRA Category 1 Credits ™. Physicians should claim only credit commensurate with the extent of their participation in this activity.